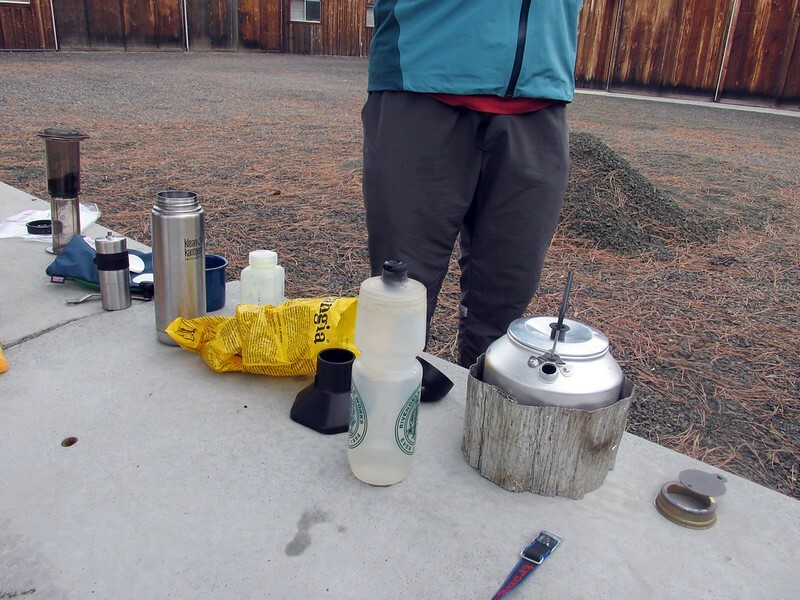 After the success of the first Wasco County Ramble back in in April, Andy, the organizer, wanted to organize another one at some point. 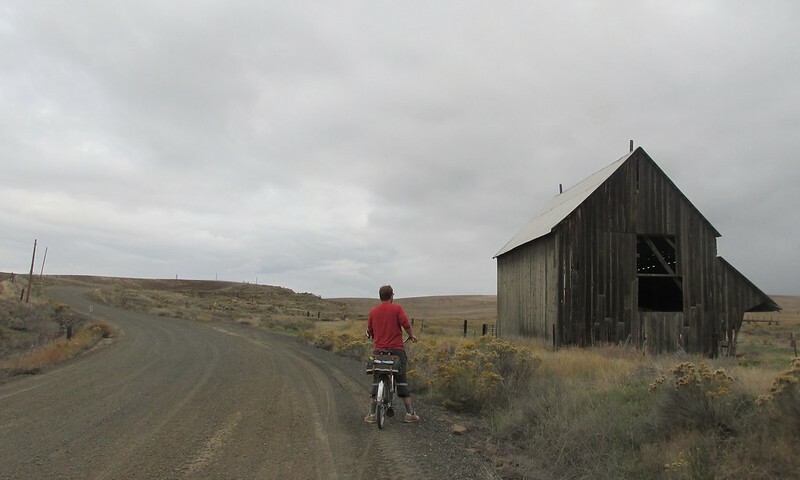 Aaron, Andy's friend and fellow SOTS member, had moved out to The Dalles, so it made sense to start the next one there. A date was set, and nine people committed. A grand adventure was underway! On Saturday morning, I awoke early, and drove out with Chris, Zack, and Patrick. Andy, Tommy, Julian, and Bruce were in the other vehicle, and we met at Aaron's house just before nine am. 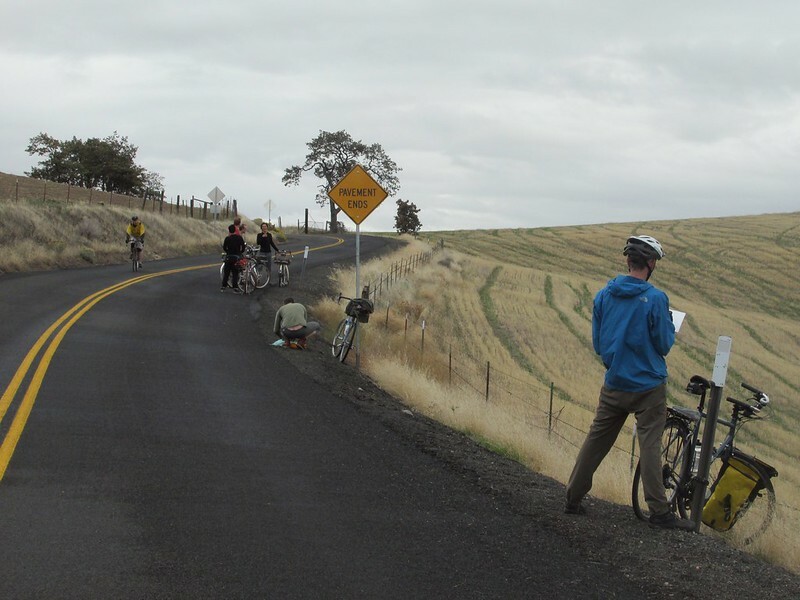 Introductions and bike assembly, a roll down to downtown The Dalles for coffee and pastries. Then onward, out of town, and the first hill. Ah yes, the first hill. No matter how many times I do these things, the first hill is a pain, and I have that moment where I say to myself, "Why am I doing this?" It didn't help that I took it slower than the rest of the pack (a theme I would repeat for most of the day), partially because I'm getting over a cold, partially because I'm just slow on hills. But of course, the first hill would be over at some point, and my body would acclimate to the climbs. And climbs there would be, as there is very little flat ground in these parts. Either you're ascending or descending. But the views made it all worth it, especially the fist big view looking back down towards The Dalles, Columbia Gorge in view. 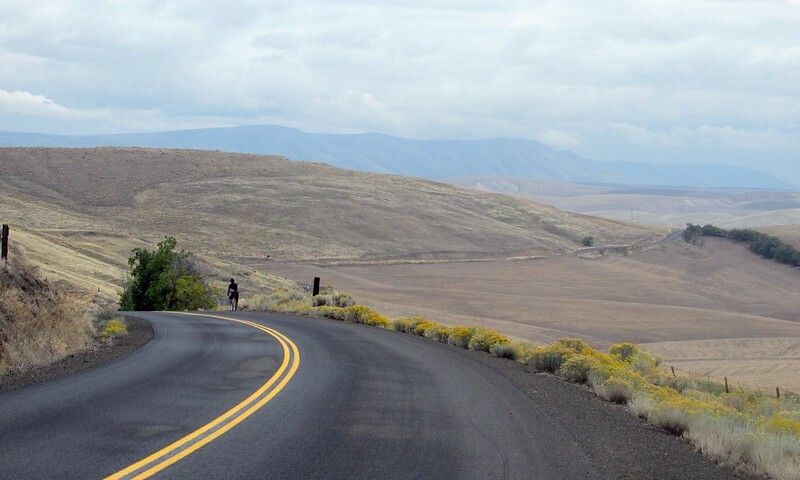 Aaron had did a lot of preliminary route scouting, and offered us two options: west or east. 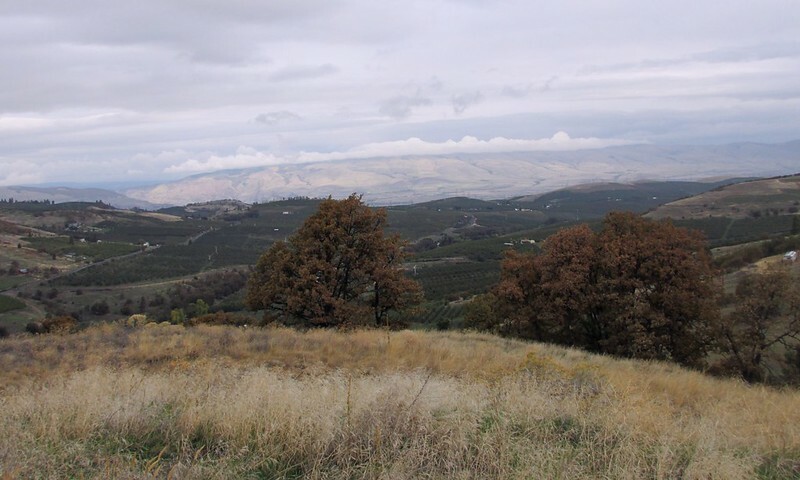 West would mean back towards the Cascades and more forest, east into the dry rolling hills of the Columbia Plateau. We decided for west, as we could see enough forest around Portland, we wanted to see something different. Also, the forecast was iffy, and staying in the drier lands lessened the chance of rain. It didn't take long before we hit our first stretch of gravel road. 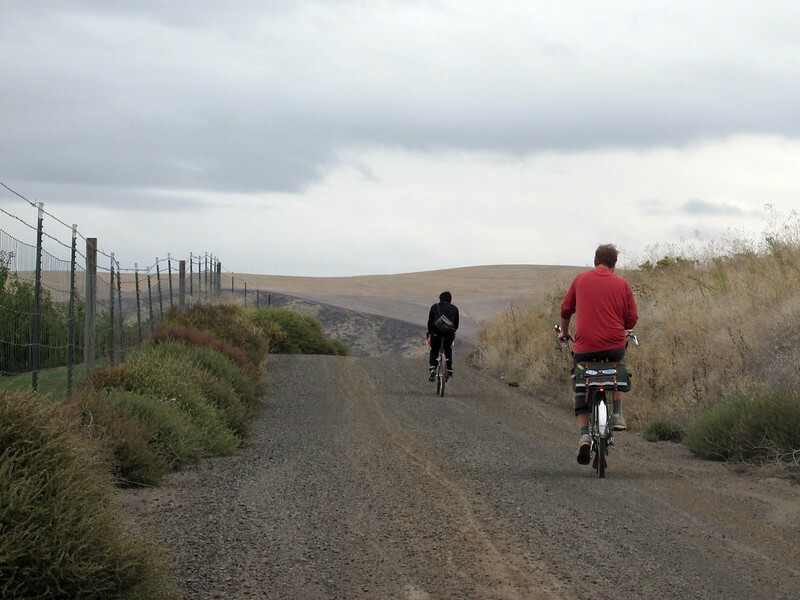 This would be a repeating theme today: gravel roads interspersed with paved. Much of the gravel was decent, some roads rougher than others, some roads steeper than others (the climb up Endersby Cut-off comes to mind. )* Much of the land now used for wheat. We ran into a few farmers over the course of the day, getting ready to plant their winter wheat. Most of the wheat here gets shipped overseas to Asia and the Middle East, as this wheat has low gluten content. Bad for rising bread, good for flatbread and noodles. 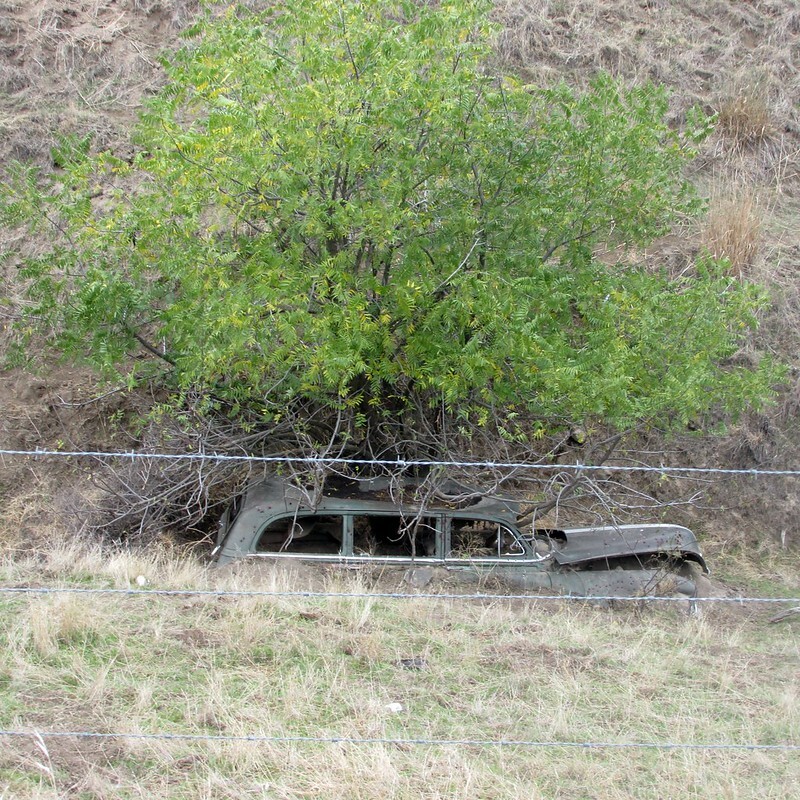 As with any rural farm area, we saw many signs of decay and entropy. 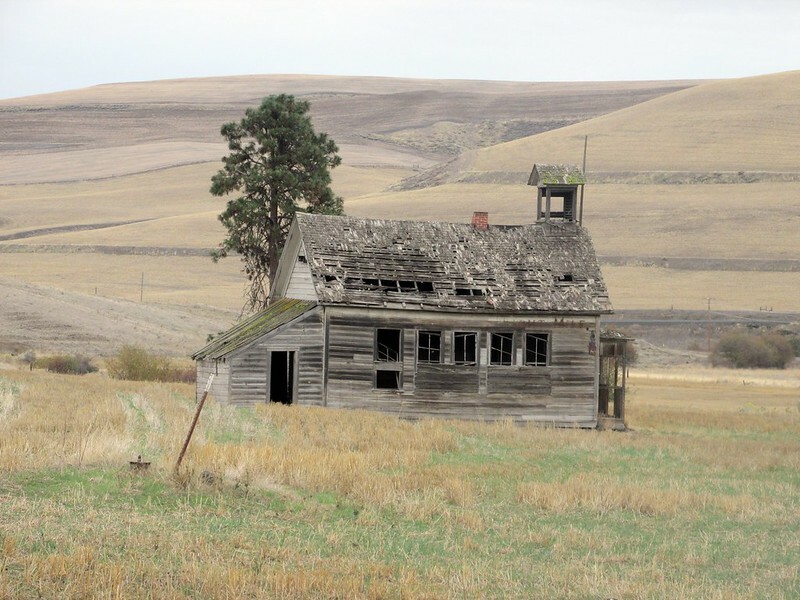 Back when farming was more labor-intensive, this area had more of a population. We barely saw any people today, and barely any cars, too. We took a few breaks. We ate lunch outside a cemetery across the street from the old schoolhouse. 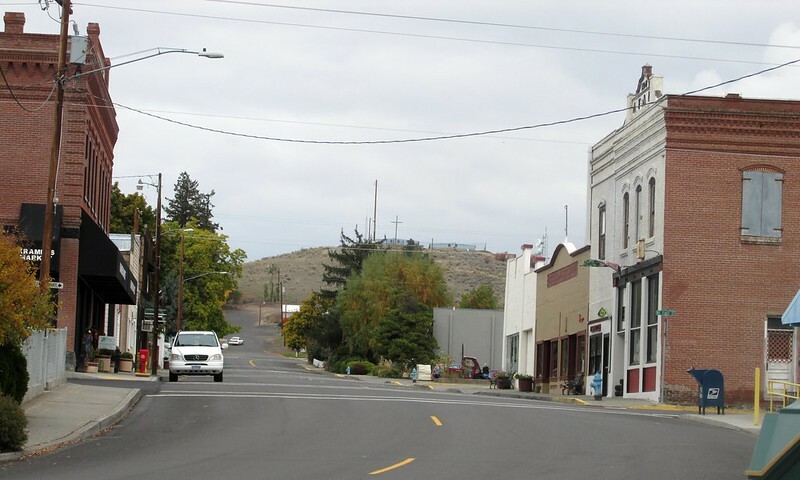 We took a good break in Dufur, the only real town out here (population 600). Zach made coffee for us. Eventually we rambled back to town just as darkness fell over the landscape, finishing up with Mexican food to fortify us for the ninety minute drive back to Portland. Other photos: Andy, Chris, Tommy, Aaron. 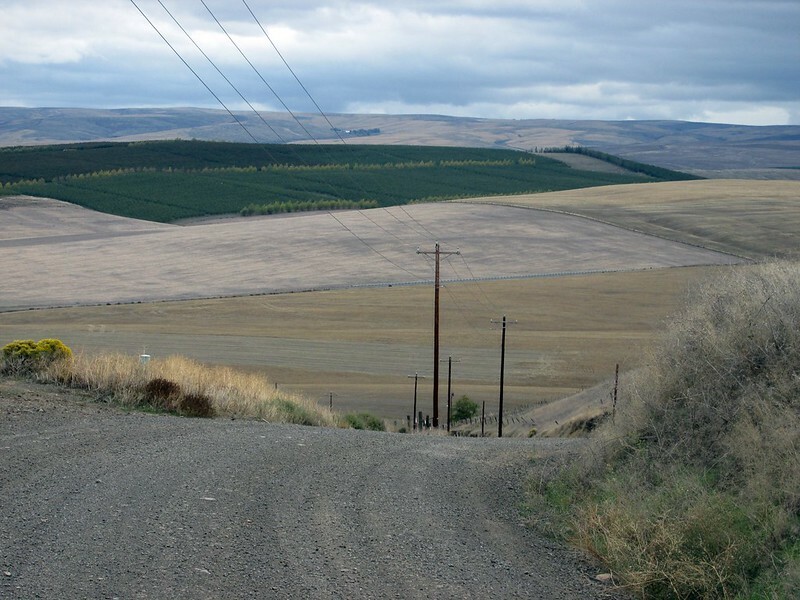 *Wasco County Riding Tip: Any road that is a "Cut-Off" is usually steep and gravel. That's such a pretty area. 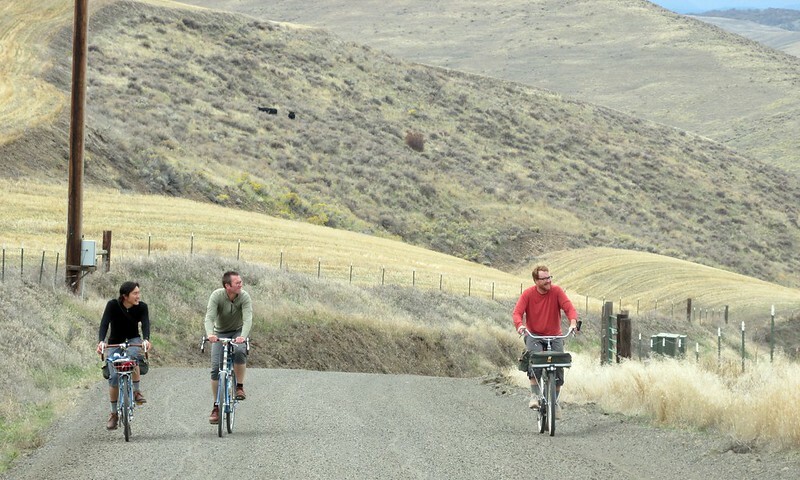 Back in the 90s when I went on Cycle Oregon, Dufur was a night's stop. The landscape is always welcome after living in rain-drench Portland. Thanks for the memories.